Using the term "adventure" in defining participation in Dakar with a 125cc class, It is hardly a stretch: If you already participate in and finish this race with a motorcycle of engine capacity and adequate power is reserved for the chosen few, try doing that with a bike of this displacement is truly something that borders on heroism! The first problem is that of mechanical reliability: with a bike of this displacement one should always be at the maximum engine capacity, Sandy is hard on those tracks, because otherwise the stages you end up the next day! When you are able to preserve the mechanics and have a proper assistance – with a quantity of spare parts allowing a frequent replacement of pieces that would fail to do the entire race (piston loads, cylinders in quantity. and even some complete engine!) 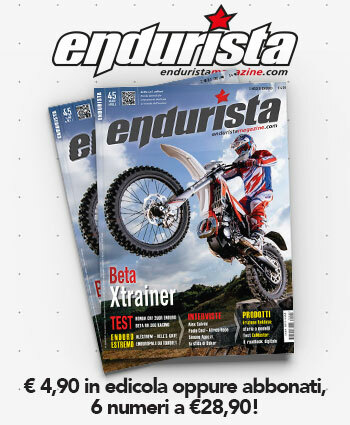 – in each case a rider on a 125, as far as expert and bravo may be, always comes evening, If not overnight, so it must have a physical resistance even more than is necessary to pilots of higher capacity. And don't think that the lighter weight of a 125 It can be a weapon in favor: due to the fact that it must always be full throttle, the consumption of 125 they are also much higher than those of motorcycles with a cylinder capacity exceeding, then the Challenger with 125 must bring more gasoline and, Eventually, the weight of your bike will be only slightly lower, In addition, at least in Dakar than once, should also provide for more supplies. 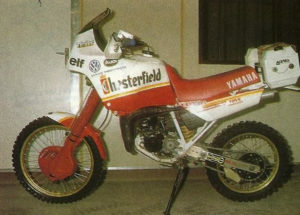 The 4T only in the very early editions were used (too low the power to stay inside in increasingly pull that Dakar after Dakar organisers were invented), so were complicated by the need of having to make mixture: While it is true that use an automatic mixing system is too risky (you could keep it protected from sand!) It is also true that making mixture in the middle of the desert is not the easiest operazine of this world! To give you an overview of all these "Heroes" who tried to arrive in Dakar (When you arrive there!) or at the bottom, share the story of the Dakar into 5 great periods, they have also formed the evolutionary stages of this great event. On New Year's Eve 1979 a heterogeneous group of 200 adventurers, the most unlikely vehicles (in 2,4 or more wheels, then the ranking was not yet separated), He departed from the Trocadero in Paris to reach the capital of Senegal, Dakar, that still was a simple point on a map and whose name was not cloaked in legend. To lead this caravan there was that Feri Sabine, He had contracted the ill of African adventure by participating, with one of the few motorcycle (disapearing for 3 days in the desert! ), two years earlier at the Rally Cote d'Ivoire, organized by Jean Claude Bertrand, that was the reverse path from Abidjan in Nice and it was in effect the precursor of Paris-Dakar. The first Dakar bikes were about half of the members and there were also four 125, two Suzuki TS 2s and two Honda XLS to 4T; only one of the two Hondine came down, led by Gregoire Verhaeghe, that, with its 19 years, He was also the youngest of the participants. 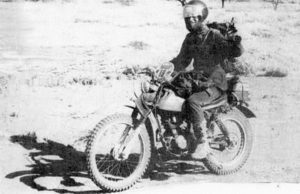 Looking at his picture, that seems to come from another age, It is clear that many bikes participants had nothing different from everyday motorcycle, with just a few gear loaded on the rack; in fact, Gregoire used his Car which had already shoulders 70,000 Km. Although the paths of those first editions followed the trails and road book were only to very few pages pointing to little more than place names of early and late stage (even lesser-known names of the Dakar itself, but that will become icons of Africa. How can we forget In Salah,Tamanrasset,Agadez,GAO, Bamako?! ), get down with that bike is considered a titanic enterprise and do it coming 65° on 74 arrived (33° in motion, the best result ever achieved by a participant in 125!!) to understand even more than the young Verhaeghe had all the numbers to make it and proved by participating in other 4 Dakar and ending even 3rd overall in ' 82 with a Barigo 600. The success of the first edition had an echo so great that Feri Sabine, year after year, made his run one of the most followed by the world's media. Always faithful to his motto "c'est la Dakar" to justify the criticism that came from all over to the growing danger of a race in which the average rate continued to rise and the routes used to divert more and more often from marked pistes, making the increasingly important navigation. DAKAR 1984 Patrick Vallet finishes the race on his Yamaha DT125 notice the Roadbook holder with leaves in the wind! Although the risk of getting lost in the Sahara increased dramatically, a numerro and more characters (sportsmen and not) wanted to attempt that adventure and brands the Dakar became an event that was getting harder to say no. The vehicles became increasingly specialized and the bike began to take that aspect from "ship of the desert" is derived from the use of increasingly large tanks that will create that category of vehicles also for series production. 1 competitor in the ' 80, 3 in ' 83, 2 in ' 84, ' 85 and ' 86.
they were committing more and more directly in the preparation of motorcycle, they were still derived from production bike with appropriate adjustments. Even after the death of its founder Feri Sabine, during the Edition 1986 due to an accident the helicopter from where the "leader" now ran the race and, Although many fans tend to coincide this year with the end of the "Dakar Eroica", the structure that the Sabine himself had created, the TSO, He managed to help you manage growth and Dakar became the most-watched ever motorcycle race. Now both automakers (Citroen/Peugeot pioneered) is the biggest motorcycle manufacturers were developing prototypes that were created just to try to win that race (that, in the case of motorcycle, production vehicles that resembled then generated, reversing the process followed in the initial years) and the race had become in effect a GP in the desert that you won based more on performance means that the ability of pilots to "find" the right track, Because navigation systems had become very close to those used satellite today and they do stray from the road only if they break. Despite this soaring performance, a few more "hero" which decided to start 125 We find it: in ' 87 two more departures (but none on arrival!) before reaching the explosion of attendance in 1988, with ben 13 bike 125 on departure. The 1988 was the year attended by the two Gilera R1, along with the two original team Peugeot "125 Challenge"; In addition to these bikes, already described in the previous issue, they left a Kawasaki, 2 Yamaha, 2 Aprilia , 3 Cagiva and KTM. The KTM , the famous "double engine", was a motorcycle among the most "absurd", never seen the Dakar: its Builder, Michel Assis, conscious of the mechanical limits of a motor 125, He had not found a better solution that place a second spare engine attached above to the one in use, ready to be replaced in case of damage on the runway! 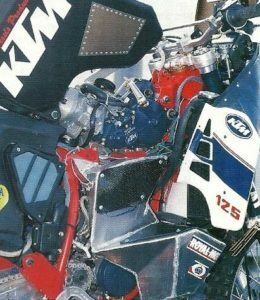 DAKAR 1988: So that's where the engine Commons! Despite this, Assis did not pass the first stages! 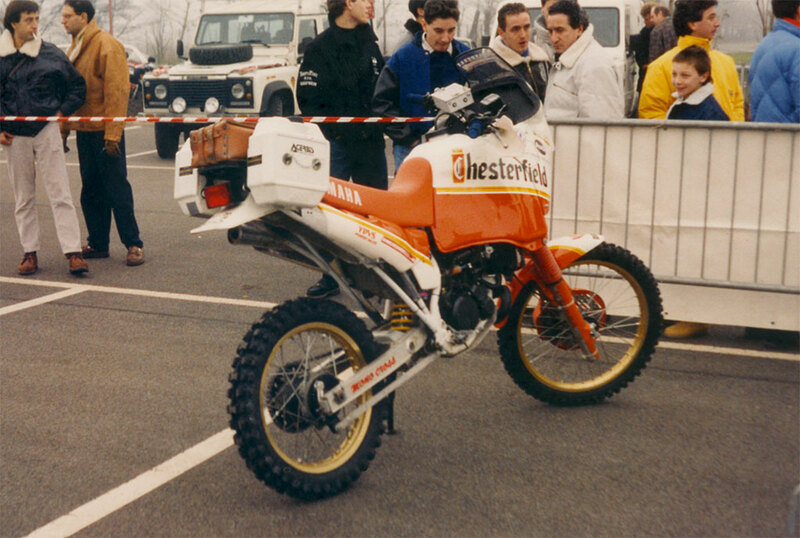 DAKAR 1988 Michel Assis with its monumental KTM 125 "Twin"
A special mention should be made to one of two Yamaha, that led by Italian Mercandelli: the veteran of many Dakar was inscribed with an XT 600, but less than 15 days prior to departure was contacted by Belgarda (the Italian team who ran the official Yamaha for peak and Co.) and he was offered a Tenerè 125 "Official". Since the Yamaha team had (and has!) its headquarters less than two kilometers from the historical site of Gilera and because "the country is small and people are talking", nothing more likely the swirling design plan of two Gilera over the walls of the plant in Arcore and that in turn had decided to set up a Belgarda 125 in a hurry; the level of preparedness of the bike and the proposal at the last minute to Mercandelli suggest that the truth is not so distant from my supposition. 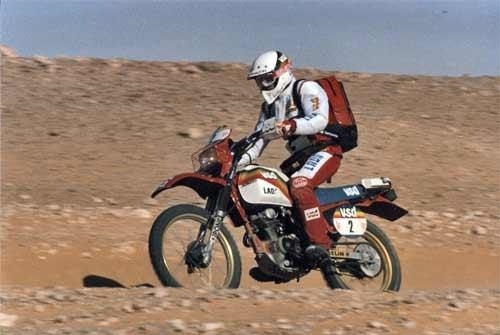 Cagiva (entered by a French team very well organised) they came close to Agadez… but they could not proceed due to lack of spare parts stop in the desert in their service truck. 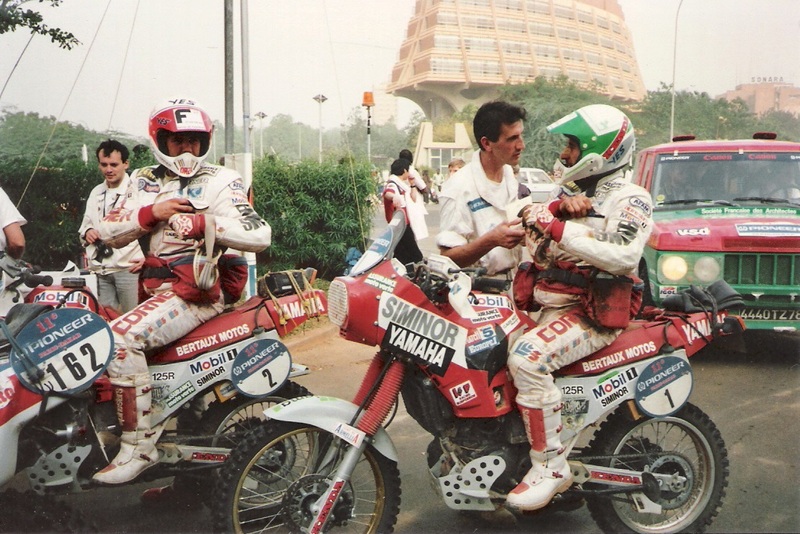 The 1989 was the last year of the Dakar rally from the golden years which saw the 125 at the start and two of the three runners, the brothers Auribault (true veterans of this race) they managed to arrive in Dakar, in 52° and 53° position of 60 arrived, remarkable performance considering the level reached by race. To find other 125 at the start we had to wait another 10 years. In 1993 you reached the minimum number of starters: the turbulent political situation in North Africa had convinced many of the large houses (especially in the area of motorcycles) to reduce the commitment officer and, Consequently, the media coverage was quickly diminished. In this same year the management of the race passes by the TSO to ASO, as if to seal a passing of the baton between the "classic" and the "new" Dakar. In subsequent years, ASO changed many times the path, either by changing the city of beginning and ending, This always in an attempt to find routes that avoid the dangerous "hot" areas that year became more extended, until the edition of 2008 that was cancelled two days prior to departure. The difficulties of the race, though, not diminished and for many years no one found the motivation to try again with the eighth-litre class, until in 1999 He turned up again in France was nicknamed "Monsieur 125", This Gerard Barbezant, He competed in a total of 14 Dakar, all made in 125! 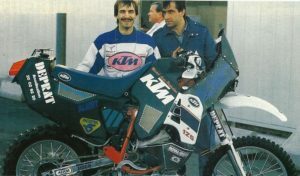 His first participation dates 1985, with a Honda XR 125, that he also used in 1986; in 1987 He joined 2T on a Honda NX125 and then used a Yamaha for the edition of 1988. 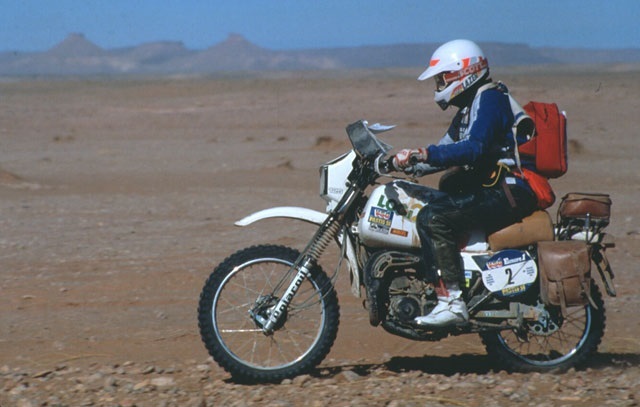 After a power outage 11 years, returned in 1999, This time riding a KTM EXC 125 He used almost continuously until its last Dakar, that of 2007, race to the ripe old age of 61 years! 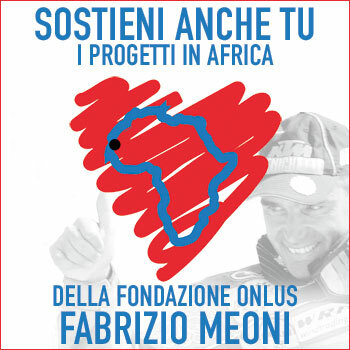 No longer races the Dakar 2006 because of the pain that brought him the death of the great Fabrizio Meoni, his good friend. Example of passion and perseverance he managed in order to finish the Dakar only in 2003, in an edition which ended in Sharm-el-Sheikh and that was one of the less harsh than ever, to the extent that its winner Sainct, Commenting on the ease said that "had been able to finish even on Barbezant"! It seems that the dedication of this true sportsman class 125 It wasn't motivated by some form of perverted masochism, but simply because he had never done licences for motorcycles with a cylinder capacity exceeding… And the 125 It was the only bike that could drive! Although in some Edition was accused of some "trick", namely to cut heavily the path, inning in the vaulting lump of controls… but by staying in the race by taking advantage of the regulation that permits (at the bottom was not a sprovveduto, being holder of 3 engineering degrees! 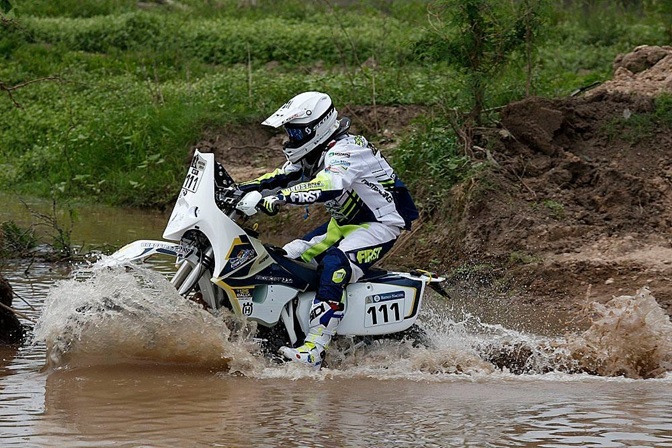 ), one cannot but admire the tenacity; However will remain in the annals among the very few to have completed the Dakar 125! The increasingly unstable political situation in the Sahel, that prevents find appropriate locations to build safely race lived up to its reputation, pushes the organizers to cross the Atlantic Ocean and the Dakar remains only the name of something that, In addition to traverse slopes of South America, also lose that aura of "adventure" that had pervaded the history. 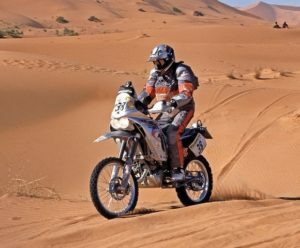 The race, still grueling, becomes a sort of Enduro "Long Range" with paths that climb the Andes and along the deserts that have more difficulties and the charm of challenge, typical of the Ténéré. The bikes become lighter and easier to handle, but think about using a 125 still has something heroic. In the latest edition of this year, the Frenchman Sylvain Espinasse, raced and completed the Dakar on a Husqvarna, becoming the sixth rider in history to succeed in the enterprise. Dakar 2016 Sylain Espinasse is the first to run and accomplish the Dakar "the new world"
On his bike, equipped with an intelligent mix oil tank carried inside the swingarm, had to replace 5 Pistons to reach upon arrival and had to overcome a difficulty unknown to competitors of old Dakar: overcoming the distance to more than 4.000 meters forced him, sometimes, to fail to reach speeds over 40 Km/h, caused by carburetion heavily greased. But at the end of his business, Sylvain said that the greatest difficulties he encountered in the overcoming of the dunes; This makes me think that if he tried the old Paris-Dakar might not have entered the history! It is true that an Aprilia tuareg 125 It was launched at 1988dakar? There are pictures of this engine?